Miss Russia Ekaterina Plekhova was crowned as Miss Intercontinental 2013 besting 58 other contestants last December 14, 2013 (Saturday evening; early Sunday morning in the Philippines) at the Maritim Hall, Maritim Hotel Madgeburg in Magdeburg, Germany. 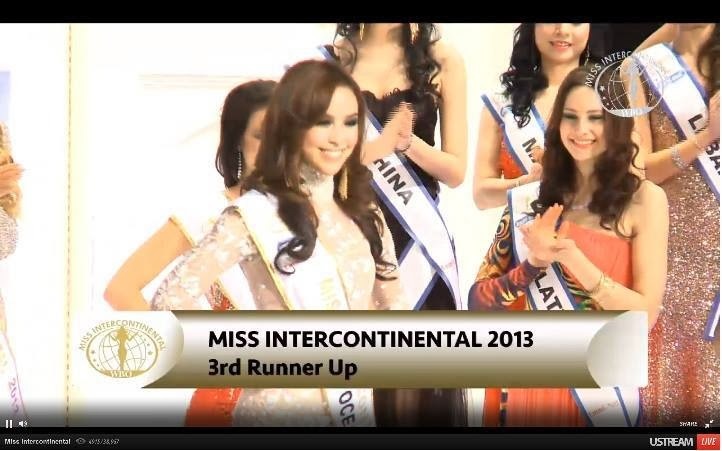 Miss Philippines Koreen Medina won as 3rd runner-up. 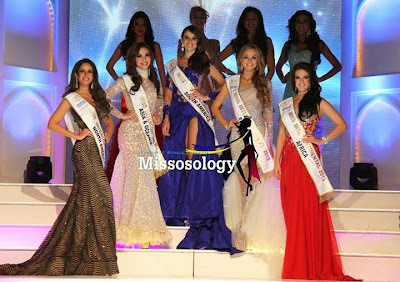 This is the 42nd edition of Miss Intercontinental pageant, founded in Aruba in 1973. The organization is based in Panama City, Panama. It is Russia's second win. Philippines has not won the title yet. Both Venezuela (1974, 2001, 2005, 2009, 2012) and USA (1973, 1979, 1982, 1994, 2011) got the highest number of Miss Intercontinental crowns won with 5 each. Aside from Russia, the countries that won the title twice are Brazil, Colombia, Germany, India and Lebanon. Medina represented the country after winning Mutya ng Pilipinas - Asia Pacific International 2013. She was a Pilipinas Got Talent Season 2 contestant, the Grand Prize winner in the Coca-Cola Music Talent Search Finals in 2011, and the Grand Winner of My Girl, a beauty pageant search of ABS-CBN's lunch time variety show.